Below you can view all the condos for sale in the Tuscany subdivision located in Atlanta Georgia. Listings in Tuscany are updated daily from data we receive from the Atlanta multiple listing service. To learn more about any of these condos or to receive custom notifications when a new property is listed for sale in Tuscany, give us a call at 404-998-4063. This Is A Hot Condo In A Hot Location! MLS#6534259. Atlanta Communities. Don'T Miss Out On This Opportunity- It Will Not Last Long!! ! MLS#6525708. Atlanta Fine Homes Sothebys International. Don'T Miss Out On This Opportunity- It Will Not Last Long! MLS#6515129. Atlanta Fine Homes Sothebys International. 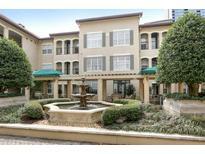 The Tuscany Is Close To All Midtown Has To Offer – Piedmont Park, Restaurants, Shopping & More! MLS#6515130. Atlanta Fine Homes Sothebys International. Located On The Second Floor And Quickly Accessible From Your Two Deeded Parking Spaces In This Gated Community That Offers Countless Amenities: Pool, Courtyard, Fitness Center, Security, Pet-Walks, Clubhouse, And Electric Car Stations. Truly A Move-In Ready Condo. MLS#6506060. Solid Source Realty Ga, Llc..
Tuscany Is Centrally Located Within A Few Blocks To All Midtown Attractions Including Marta, Piedmont Park And Multiple Shops, Restaurants And More! MLS#6502300. Atlanta Fine Homes Sothebys International. Enjoy The Amenities-Pool, Clubhouse, State Of The Art Fitness Center, Tanning Room, Dog Walks, Gas Grills And Electric Car Charger. Don'T Wait. MLS#6115869. Ansley Atlanta Real Estate, Llc.